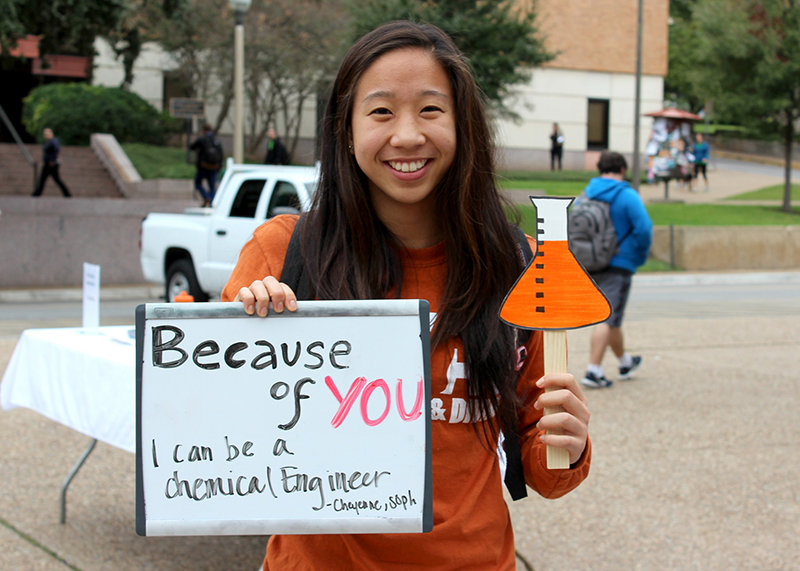 When you make a gift to the Cockrell School of Engineering, you are playing an active role in improving the experiences for those in the Texas Engineering community. Support from our generous alumni and friends helps us engage the best and brightest students in hands-on projects and empower our award-winning researchers to shape the future of innovation. Through your investment, you will play a vital role in advancing the mission of the Cockrell School. By investing in the area of your choice, you can inspire student success, strengthen faculty recruitment, modernize our facilities and support other schoolwide strategic priorities. There are many ways to make a gift to the Cockrell School — find the option that is right for you.